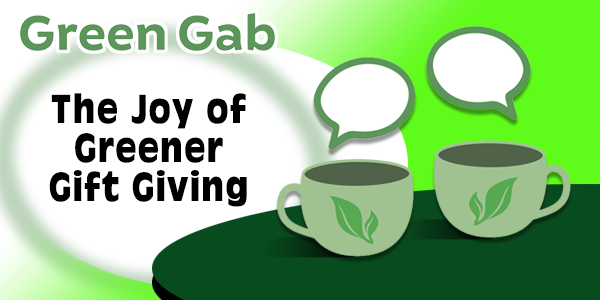 Today, we are gabbing with Kathy Curran, who works with us, and we are talking about the joy of greener gift giving during this season of giving. 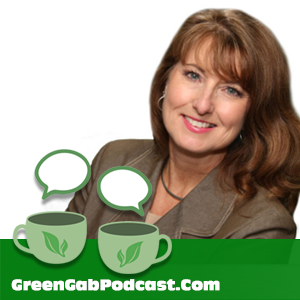 Kathy was inspired by her adult daughter, who is focused on being green at home since starting her own family. At the holidays last year, her daughter asked for “no stuff,” but you have to open presents at the holidays, right? So Kathy started considering how to change the way they do the holidays and created an opportunity for greener gift giving. Annual membership to the national parks or area museums. Season tickets to the local theatre. If stuff is important to the people on your list, you can keep it local. When you shop locally, more money is kept local. On average, 48% of what you spend locally stays within the community, as compared to 14% of purchases as chain stores. Local consignment and secondhand stores tick off two boxes: keeping money local and recycling goods. In a pinch for greener gift giving? Try an ebook or audio book. There’s no need for anything to be shipped, and you’re still providing a type of experience. And if you’re not sure what the gift receiver would prefer, a gift card allows them to choose the perfect book. Everyone appreciates handmade gifts. Whether it’s your favorite cookie recipe or a hand-knitted sweater, something that is made with love is warmly received. Not personally talented? 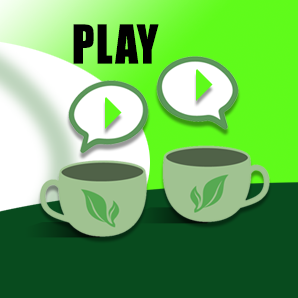 Gather favorite family recipes or record an older family member’s stories for the next generation. You’ll combine greener gift giving with legacy, and that’s always a perfect fit.